high-profile stocks posting triple-digit gains in their first several days. GoPro Inc. (Nasdaq: GPRO) jumped 103% in four days, and El Pollo Loco Holdings Inc. (Nasdaq: LOCO) spiked 175% in six days. But chasing new IPO profits as soon as a stock starts trading isn't a smart investing strategy. For every triple-digit winner, there's an IPO loser whose stock drops immediately once hitting the market. For instance, NephroGenex Inc. (Nasdaq: NRX) and Amedica Corp. (Nasdaq: AMDA) are down 60% and 51% respectively since holding IPOs this year. "I often refer to the IPO market as the 'rich-man's market,'" Money Morning's Defense & Tech Specialist Michael Robinson said. "And it's reprehensible that the gains are reserved for the rich." When a company decides to go public, one of the first things it does is hire an investment bank to "underwrite" the financial filings required by the U.S. Securities and Exchange Commission (SEC). From there, the IPO filing process is demanding. The company and underwriter determine how much money will be raised, file registration documents, identify any legal issues, determine the IPO date, and decide on the share price. The process takes months to complete, giving the company time to hype up the stock and excite potential investors. 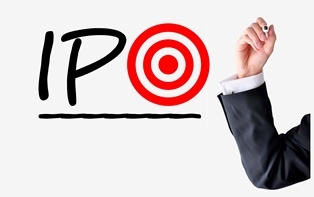 As the IPO date approaches, the underwriter will begin selling the shares of the stock for the company. That's where the common or "retail" investor comes into play, right? Not exactly. The investment banks that perform the underwriting are typically large firms like JPMorgan Chase & Co. (NYSE: JPM), Goldman Sachs & Co. (NYSE: GS), or Merrill Lynch, to name a few. When it comes time to sell shares of the newly public company, these firms will typically sell shares to their favorite institutional clients. Since so many companies will want a huge investment firm performing their underwriting, the banks can be choosy about which companies to underwrite. They'll pick the companies they think will have the most successful IPOs. In turn, they reward their favorite clients with shares of the hot upcoming IPO they've just underwritten. Additionally, firms will want to sell large chunks of their shares to very wealthy investors rather than selling smaller amounts of shares to thousands of retail investors. They want investors who can buy in bulk. "As I often tell people, because Wall Street tends to reserve the hottest issues for its 'best' customers – folks I often describe as the 'ultimate insiders' of the U.S. financial markets – IPO deals can be tough for retail investors to get into," Robinson said. "And even if you do manage to get a few shares, there are still difficult decisions to make – such as how long you should hold on, or under what circumstances you should sell."